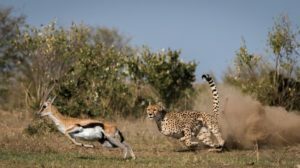 Our 5 days Tanzania safari takes you to three of the most well-known reserves on Tanzania’s “northern circuit” for a wildlife safari Tanzania and a birding safari Tanzania. Your 5 days will take you to Lake Manyara National Park, the Ngorongoro Crater and the Serengeti National Park. While on this safari in Tanzania, you will see diverse landscapes and a crater full of animals. Our 5 days Tanzania tour is tailored to have something for everyone and is ideal for those with limited time. Day 1: Arrive in Arusha and transfer to your hotel that was prior booked for you. On this day, you will arrive in Arusha, where you will find our Tanzania safari guide waiting to welcome you. He will transfer you to the hotel that was prior booked for you. Arrive, check in, dine and rest.